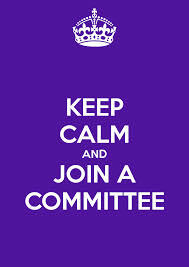 Summer's here and so is Committee Sign-Up! Join us on Tuesday, June 7th, for wine and beer, and desserts from one of our favorite local businesses, Dolcetti's Patisserie & Cafe! We'll give a brief overview of the committees for the coming year, answer any questions and then open the meeting for sign-up. You do not have to be present to join a committee, but signing up in person does give you "first dibs" on committee spots. Plus, we'll raffle off 2 gift cards to Dolcetti's for those that come and join in the fun! If you'd like to join a committee but can't make the meeting, find a friend who is able to go -- each attendee can sign up one other person that night. Or, watch the PRNC web site after June 7 for the list of remaining spots. Then email our VP of Committees, Jennifer Healy, at jennifer.healy@gmail.com with your request. If you have any questions about a specific committee or the meeting itself, please don't hesitate to contact Jen Healy, VP of Committees, at jennifer.healy@gmail.com.